We’ve all seen the Subaru TV commercials featuring the Barkley’s, guaranteed to capture your eye and your heart. And just last year, Nissan created a one-off Nissan Rogue that garnered a bunch of attention. The “Rogue Dogue” uses innovative features to make travel with your furry four-legged friend easier. There’s an extendable ramp for convenient entry into the cargo area, which is padded and made of easy-clean material. A dog shower and dryer are integrated. There’s storage for food and water dishes and a drawer for leashes and toys. There’s even a doggie first aid kit. More than 77 percent of pet owners surveyed said that pet access would be considered favorably in their vehicle purchase process. It begs a question: if manufacturers are considerate of car buyers’ pets, shouldn’t the dealership welcome pets too? Is ‘Man’s Best Friend’ Welcome in Your Store? It doesn’t take much effort to become pet-friendly in the dealership. There are only a few things that a dog needs to be comfortable and relaxed. There should be fresh, clean water, a comfortable place to lay, and… facilities. Healthy treats are never a bad idea either. Keep a large doggie dish of clean, cool water accessible at your store that Fido can easily access. A few plush dog beds will let customers do their business while their dog catches up on their sleep. Perhaps the most important factor to make the dealership dog-friendly is a dedicated place where dogs can do their own business. A small grassy area within a short walk of the front doors is all it takes. 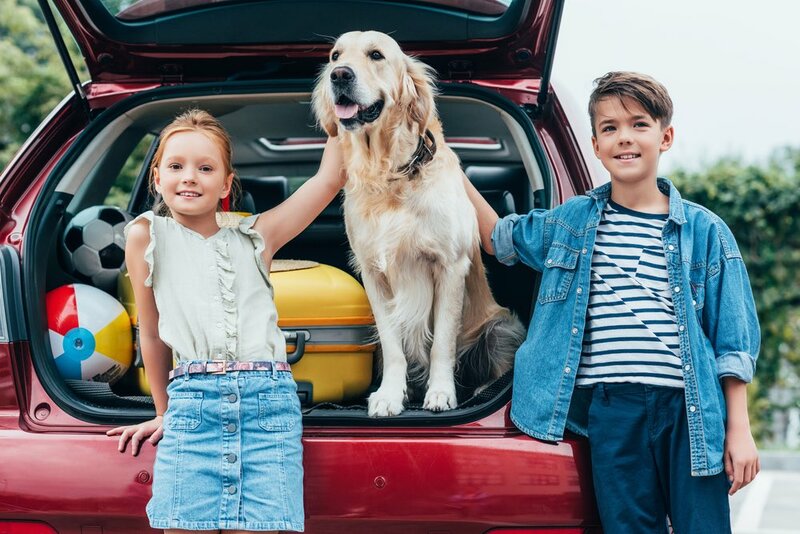 Now, more than ever, people travel with their pets whether it’s a short trip to the mall, going for coffee, or a car maintenance appointment. Pet-friendly locations pique their interest. If your dealership is dog-friendly, spread the word. Make it well-known that you don’t just allow dogs in your store, but that you ENCOURAGE it. You’ll find that customers are happier, as are your employees!